My overall research interest is to define the nervous and local factors regulating the cardiopulmonary (heart and lung) systems in people under physiological threat. I have developed and refined rapid-response measurement techniques for application to awake humans and other species at rest and during behaviour. Apart from behaviour, environmental threats studied have been those leading to poor oxygen availability in body tissues (hypoxia), for example, heart failure, lung failure, loss of blood volume, intensive physical training, changes in environmental temperature and the effects of inhaled irritants. As a medical graduate I commenced training in cardiopulmonary surgery at the University of NSW teaching hospitals, coinciding with the beginning of the early-1960s polio epidemic. I performed tracheal surgery for application of the then new positive-pressure ventilators to polio-paralysed children and adults, while at the same time learning trauma and general surgery. In writing-up new findings I requested direction in research training and was referred to the Physiology department at the University of NSW for enrolment in a higher degree. To provide a progressive, best understanding of how the brain and nerves controlling the heart, lung and blood vessels have evolved over time to protect us from external or internal causes of low oxygen availability in tissue. My medical experience revealed that the compensatory effects against mild hypoxia are transiently helpful when mild. When severe, however, sensory systems evoke powerful neural patterns of defence against the ultimate morbidity of tissue hypoxia. Preservation, restoration or support of these mechanisms is the ultimate goal. After graduating in medicine, Professor Saxon White became a professorial surgical registrar at the University of NSW Prince Henry Hospital and commenced research as a National Heart Foundation Fellow for a higher doctorate in medicine. He was supervised by Professor Paul Korner at the University of NSW in cardiovascular nervous control during oxygen need including blood loss shock. In 1968, Professor White became Overseas Life Insurance Research Fellow of Australia and New Zealand with post-doctoral tenure first in Department of Physiology, University of Goteborg, Sweden (1968), then in 1969 jointly in Scripps Clinic and Research Foundation, La Jolla, and the Department of Cardiology, University of California, San Diego, where he worked with Dean Franklin, the inventor of ultrasound use in medicine. The third year (1970) was in Cardiology at the University of Sydney. 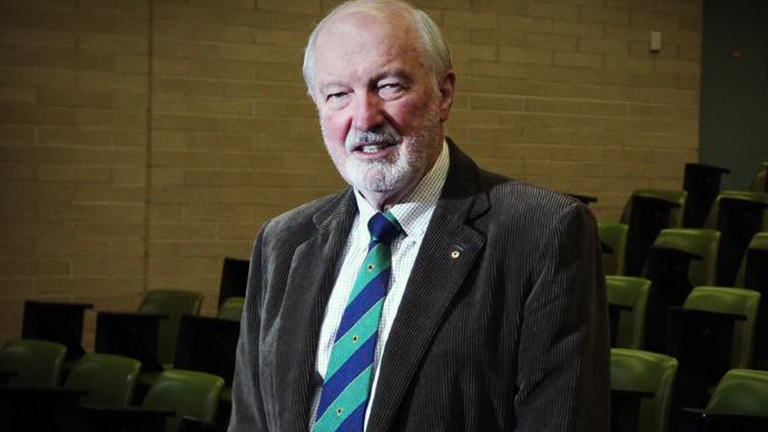 In 1974 Professor White moved to the new medical school at Flinders University of South Australia but within 18 months accepted the Foundation Chair of Human Physiology at the newer medical school at the University of Newcastle. Here, he initiated basic research in nervous control of the coronary (blood vessels supplying heart muscle) and bronchial (airway) circulations, using ultrasonic techniques. He also developed exercise stress testing in clinical cardiology at the Royal Newcastle Hospital and later at the new John Hunter Hospital. During the 1980s Professor White’s team educated the community concerning exercise for the maintenance of health. A special target was the need to identify which nerves caused adaptation to stress in the coronary and bronchial circulations. His team targeted emotion and published on Darwin's hypothesis of emotion, facial expressions and linked nervous responses. The biggest ongoing challenge was to analyse during exercise how the brain normally controls the coronary and bronchial (airways) circulations, and the airways themselves, e.g. the neural controls underlying constriction of airways (asthma) during exercise. They also studied postural adaptation in fighter pilots subject to severe G forces, diving, and exercise-induced hypoxia and lung bleeding in racing thoroughbred horses. These studies were published and are relevant to the greatest killers of oxygen breathing species on the planet when natural control systems are disturbed by disease, e.g. coronary artery disease, hypertension, and the multiplicity of asthma syndromes.